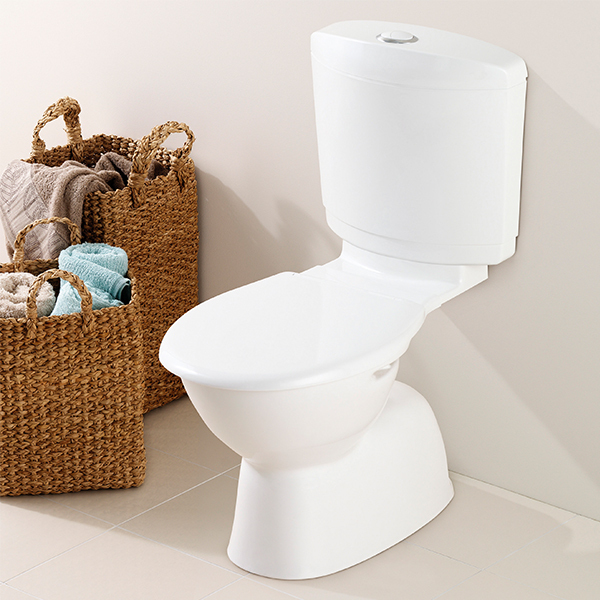 Today’s toilet suites have certainly stepped up in terms of style, shape, comfort and water efficiency. 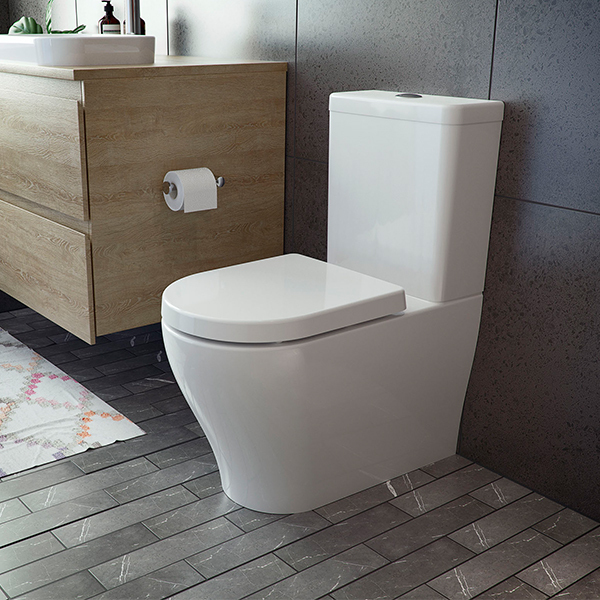 To make your decision-making easier, it pays to know what fit of toilet will be right for your bathroom and plumbing layout as well as understand the water efficiency star ratings and if you want the new standard in toilets try our Caroma Cleanflush®. 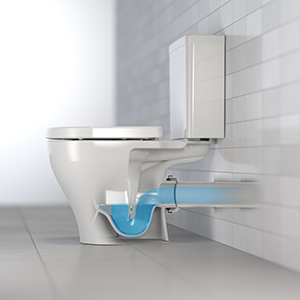 In terms replacing a toilet, Caroma toilets have the patented Orbital Uniconnector. 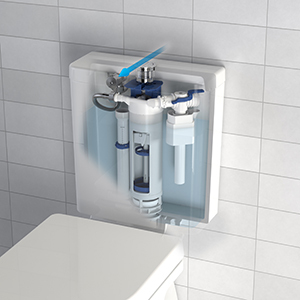 Designed with renovators in mind – the Orbital Uniconnector provides superior set-out adjustability, critical when retro-fitting and installing new toilets. This can provide huge cost savings. 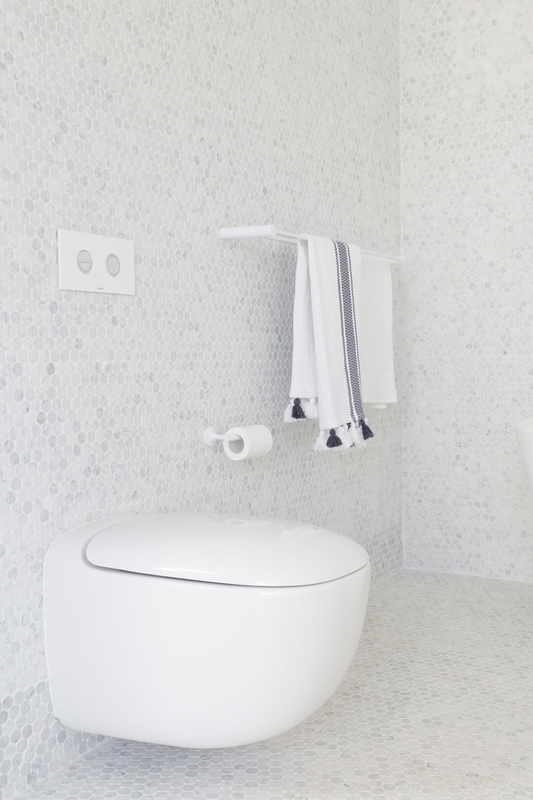 Then it’s simply a matter of selecting one that complements the rest of your bathroom. Hidden cistern inside the wall cavity, ceiling or under counter- leaving only the wall faced or wall hung pan to be seen. Very modern design and is an excellent space saver. Most popular. 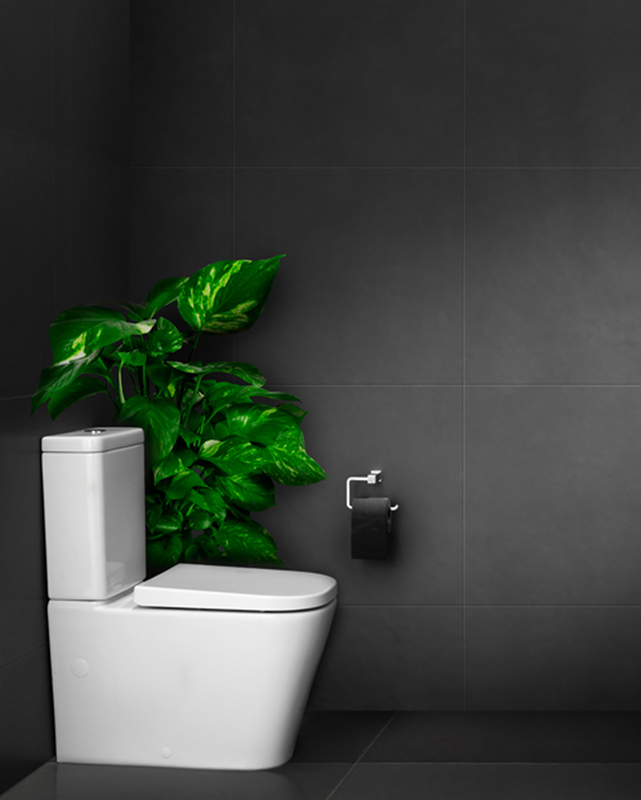 The back of the pan sits flush against the wall, so no gaps between the toilet and the wall making for easy to cleaning. This is a solid unit and creates a bold look in your bathroom. 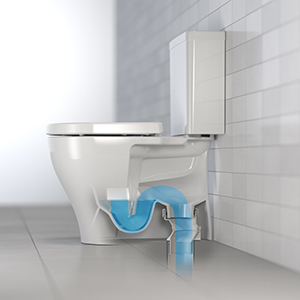 The pan and cistern are joined together so you cannot see the flush pipe. 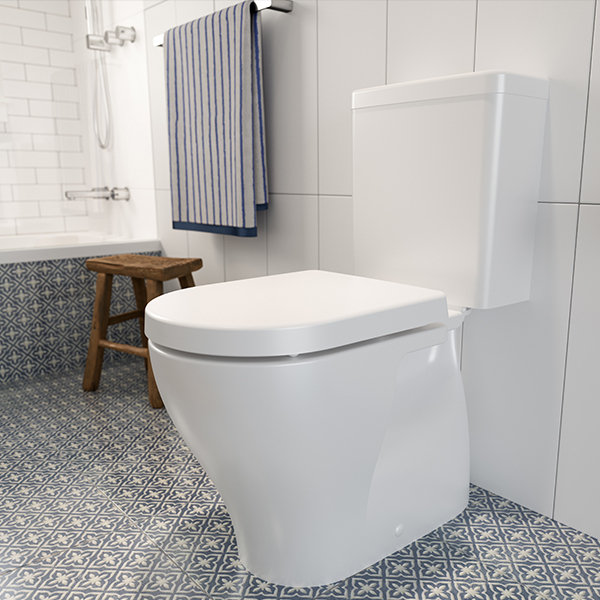 This type of toilet suite is a very traditional look and suits all types of bathrooms. 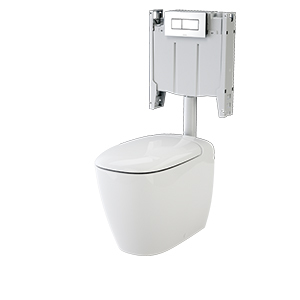 Most traditional looking toilet with the cistern joined to the pan by a plastic flush pipe and connector plate. It provides the greatest amount of set out flexibility for installation. Great for replacements. Hidden cistern inside the wall cavity, ceiling or under counter. Very modern design and is an excellent space saver. Water inlet connects via an access hole in the rear of the cistern. 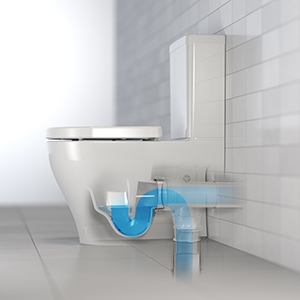 All hoses and taps are hidden with the cistern. Most flexible. Trap suits either S or P trap configurations. Unique to modern wall faced pans. Most common installation. Trap connects directly into a floor- mounted pan collar. Trap connects directly into a wall mounted pan collar. Left or righthand models. 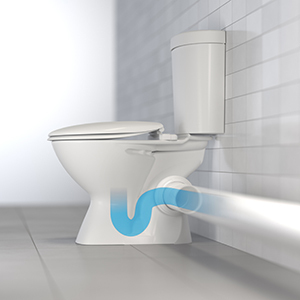 Connects directly into a wall mounted pan collar to one side. Traditional cistern type. Water inlet connects at the base of the cistern. 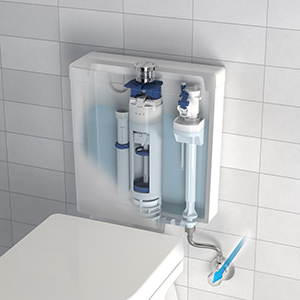 Hoses and taps are exposed for easy access and repair.